It would hurt us–were we awake. I dream more now that I’ve gotten older, abetted by having to get up in the nights at this juncture. Should I care about dreams? Perhaps show us our real selves? Make for a better world? I know I’ve always been interested in them from earliest days. The catalyst was probably Freud’s massive Interpretation of Dreams, which I confess to reading all the way through. For Freud, dreams reflected repressed desire, often of libido. Don’t I often dream my fears? With Freud, I always sensed a wanna-be novelist at work, ingeniously spinning narratives, howbeit, in the name of science–alas, to confirm an a priori hypothesis without the backup of today’s medical formulae of random testing and cohort studies. But then, how do you quantify something so ethereal as dreams? I think his Civilization and Its Discontents one of the great masterpieces, despite its surprising brevity. His triad of Id, Ego, and Super Ego continues to spellbind me by virtual of the myriad ways I see it manifest itself in both myself and others. now but a whole climate of opinion…. I was surprised to read in neurologist Oliver Sacks’ tell-all memoir, Moving On, published just several months before his death last week, that he was seeing a psychoanalyst for some fifty years–and, remarkably–the same one every week! Sacks kept a notebook on his nightstand, recording his dreams faithfully. Make no mistake: Sacks is a man I came to love and respect deeply. I just wish I knew why he kept finding psychoanalysis a cornucopia of self-knowledge, apart from crediting it with his rescue from drug addiction acquired from his youthful halcyon California days a la Muscle Beach. For me, the great influence on how I look at dreams has been Freud’s former disciple, Carl Jung. His notions of anima and animus, often projected in dreams, have proved revelatory personally and hence liberating. He taught me that so much of living life is finding equilibrium, or the balancing of Ego and Self. Dreams offer symbols to excesses in ourselves that can be remanded. He also introduced me to polarity as the essence of mythos truth with its tension of paradox. If Freud looked to our past as the repository of dream content, Jung saw dreams as projections of possibility and therefore hope. 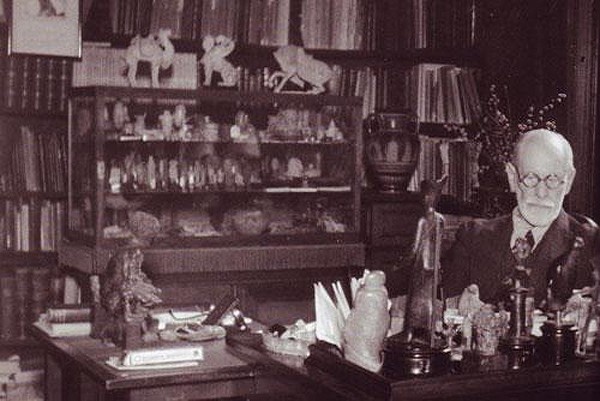 Jung was more a cultural analyst, or pseudo-anthropologist, finding universality across a wide spectrum of symbolic significance, rummaging what he collectively called archetypes. In younger days I nearly chose becoming a licensed Jungian therapist and sometimes wonder if I committed one of the great follies in my life in turning down its seduction. Campbell, that ardent Jungian, famously urged we should follow our bliss. That maxim, aside from its latent dangers resident in reductionism, may often prove wise counsel and its rejection the source of substantial human misery. But to sum up, I think what I’ve liked best in Jung is his acceptance of the banality of evil, Arendt’s phrasing for resident evil in Man. No liberal withering away via socio-economic exegesis, often speciously argued in my view. Maybe my lifelong fascination with dreams stems from my youthful days drenched in fundamentalist biblical parochialism. There was Joseph, so masterful at dream interpretation that the Pharaoh took him into his confidence, ultimately saving Joseph’s kindred Hebrews. And of course, there’s Daniel. For the ancients, dreams gave warning and with it, admonition. I chose to pursue a Ph. D. in English Literature. Well, you guessed it: Coleridge’s famous Kubla Khan poem, which he explained as the aftermath of an interrupted dream. But that’s just one dream poem. There are scores of other dream poems. What I’m meaning to say is that there have been so many threads feeding into my dream fixation, not just Freud and Jung who were obviously mesmerized. Do they help us to know ourselves? And that’s why I need to go back to exploring my dreams again, now that they seem to occur more frequently. Like Sacks, I may soon be keeping a notepad on my nightstand. This entry was posted in Psychology, Reflections and tagged archetype, dreams, Freud, Jung, Oliver Sacks, psychoanalysis, psychology. Bookmark the permalink.